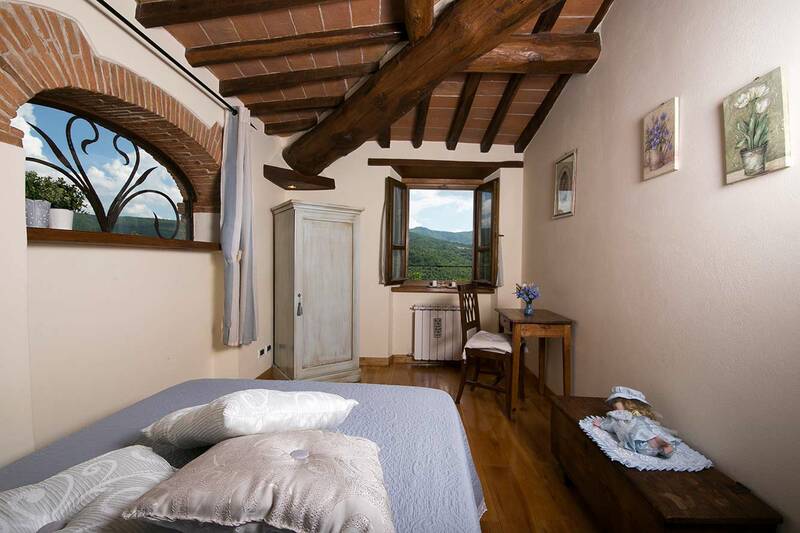 AREZZO, SIENA and FLORENCE are within easy reach and ideal destinations for daytrips! 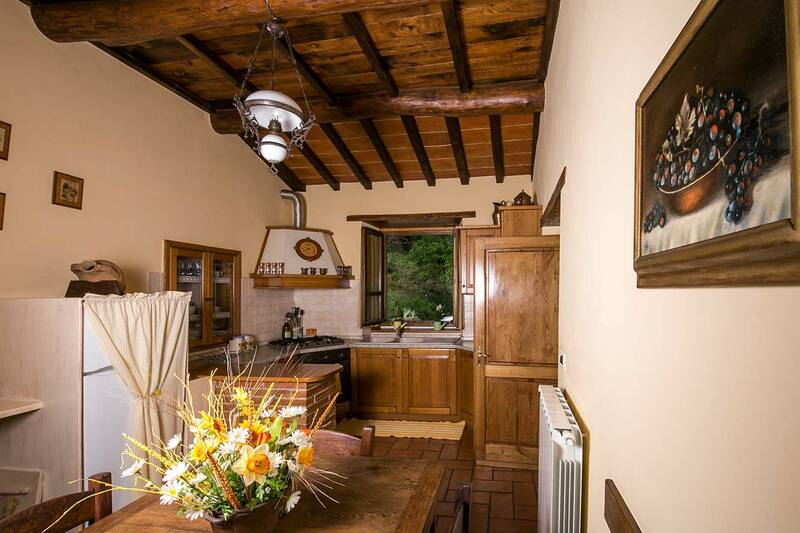 You will feel immediately at home in this carefully renovated property with large private pool area and panoramic view over the Casentino Valley! 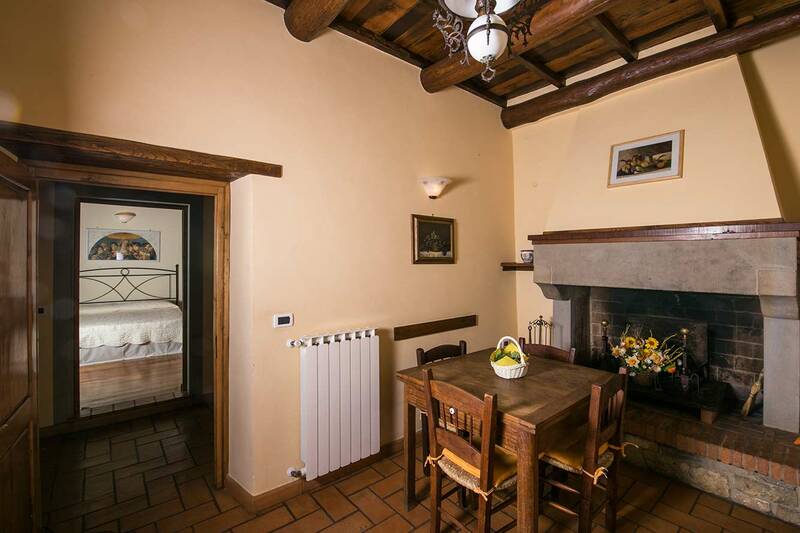 Here you are completely undisturbed and nevertheless close to restaurants, a large shopping center and many interesting excursion destinations like the historic centers of POPPI, BIBBIENA and RAGGIOLO. You enter the house from a nice covered terrace with table and chairs. In front of the entrance, there is another large pergola with a wooden table and benches for the whole group and a brick-built barbecue. It is a lovely and shady place to have breakfast, lunch or dinner all together. The entrance opens into a hall. 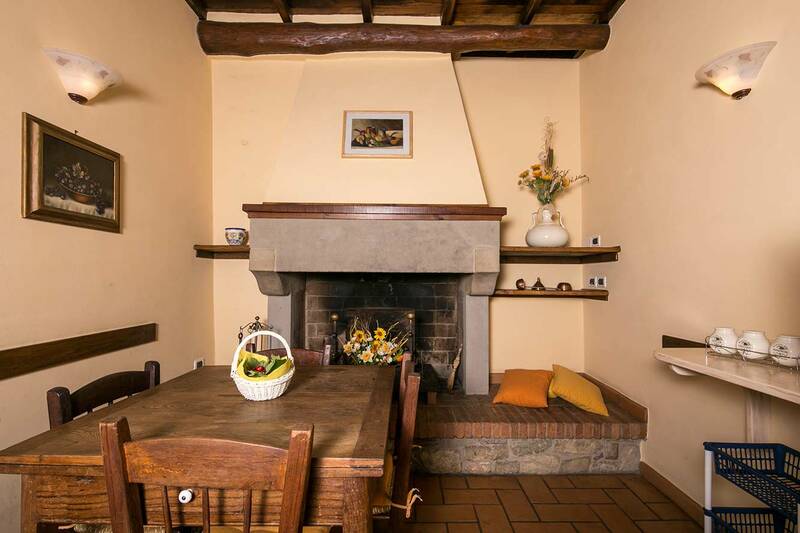 On the right, you find the completely furnished eat-in-kitchen with open fireplace, table and chairs and SAT-TV. The kitchen is equipped with microwave, dishwasher, 5-burner-stove, refrigerator with freezer and an American coffee maker. 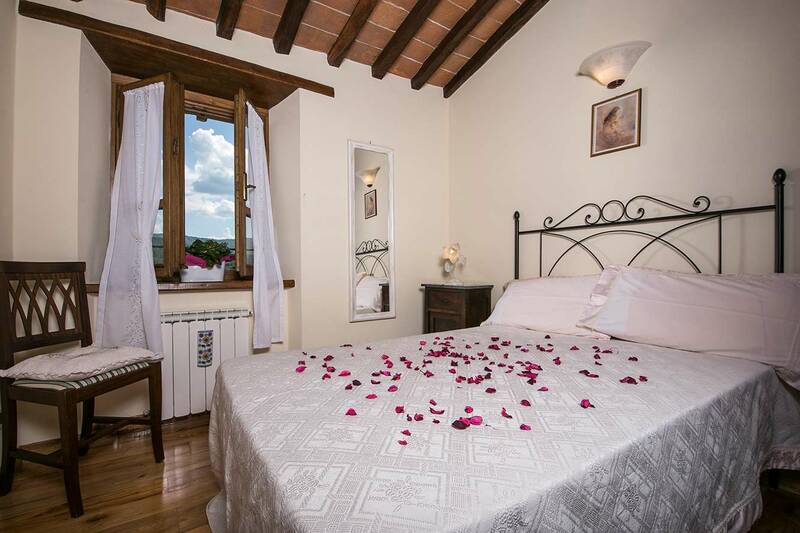 On the left, there is a comfortable double-room with a large-sized wardrobe. The double bed can be devided into two single beds. The hall leads you to a spacious, well-lit, and cozy living- and dining-room. In front of the large windows with panoramic view towards the pool area, you find a wooden dining table and chairs for 8 people. 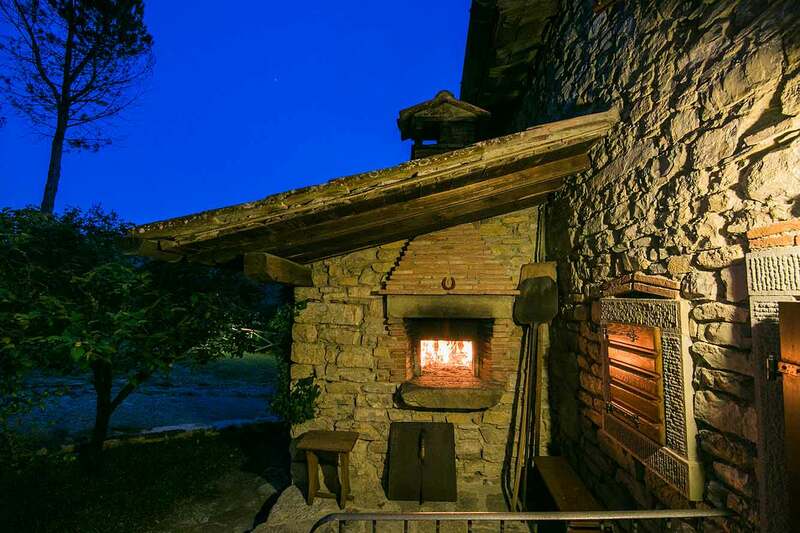 On the left, there is a comfortable sofa corner with a SAT-TV and a fireplace, where one can curl up after a long day site seeing and sip a glass of Chianti while watching the flames burn bright. 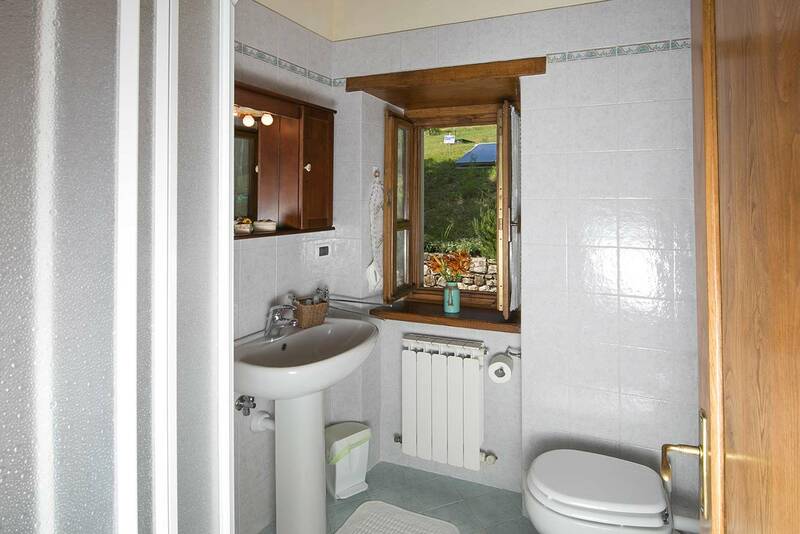 Two steps ahead from the living room you find both bathrooms: the bigger one with jacuzzi-bathtub, washstand, bidet and WC and a large window with stunning panoramic view. 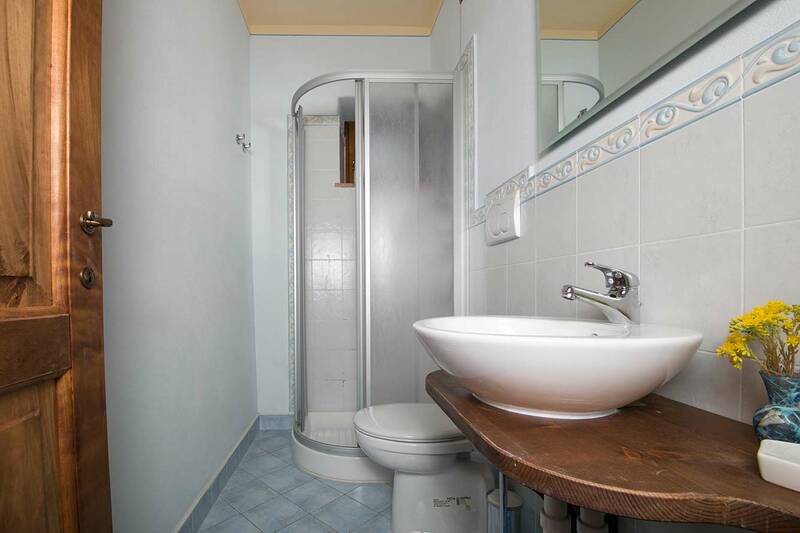 In front, you find the other bathroom with a window, shower-box, sink, bidet and WC. 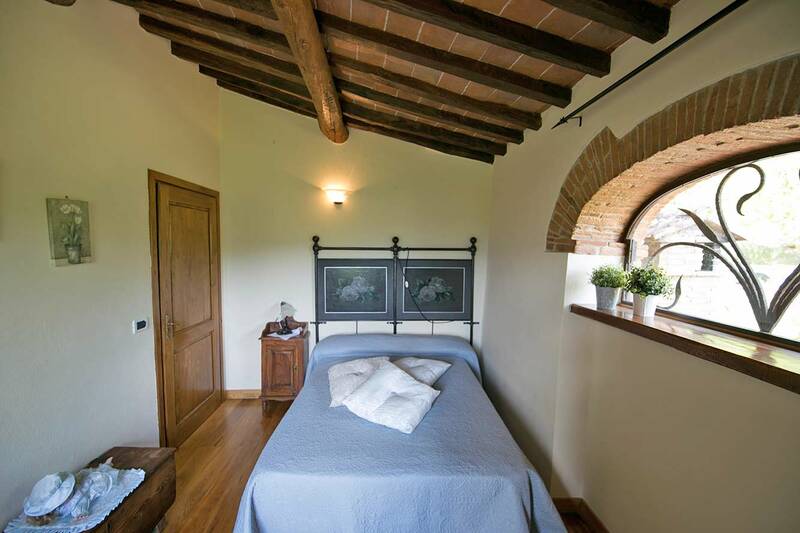 On the other side of the living room, you find the entrance to the remaining three bedrooms: 2 cozy single-rooms and one large bedroom with a queen-size-bed and one extra bed, an antique wardrobe, a wooden bench and parquet floor. 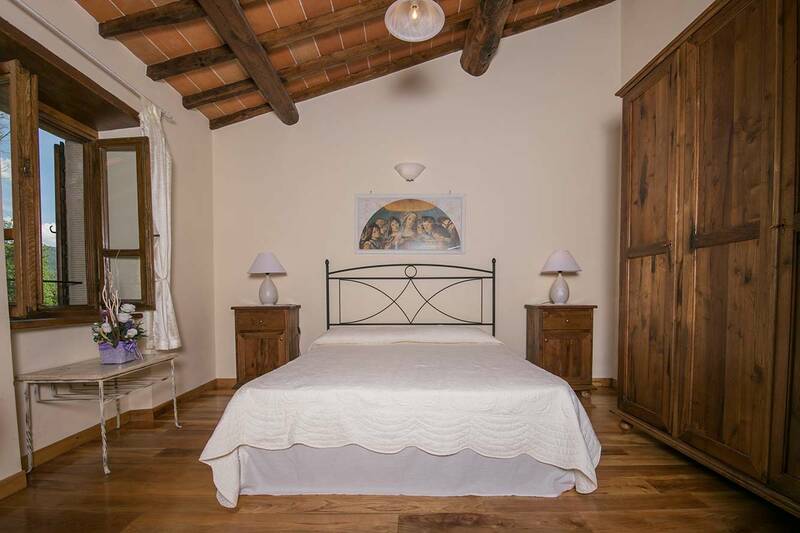 All the rooms are very bright and furnished carefully by the owner. GINESTRINO can easily accommodate up to 8 people. The owners offer truffle tours for their guests. 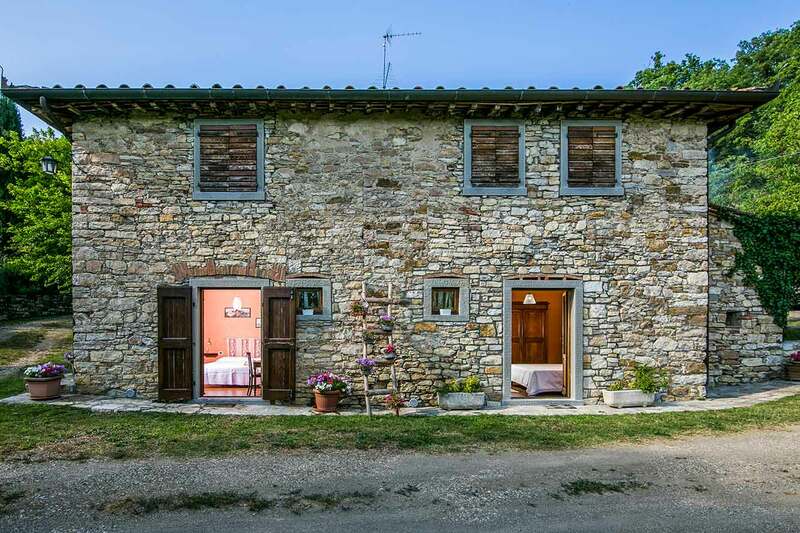 The guided visit is run by the owners who are experts and will take you with their truffle hunting dogs through the rich woods of Casentino Valley. You can learn a lot about truffles. There are five main areas for the truffle's diffusion in Tuscany: Casentino Area, the hills of San Miniato, Valtiberina, the Crete Senesi area and Mugello. Truffle tours can be organized between June and September. In case you are interested, please arrange prior to your arrival a date for the tour directly with the owner. Recommended: proper clothes like long trousers, mountain boots, long sleeved outer clothing. Other 2 bedrooms are located in the lower part of the house. They have a double bed each, bedside cabinets and wardrobe. 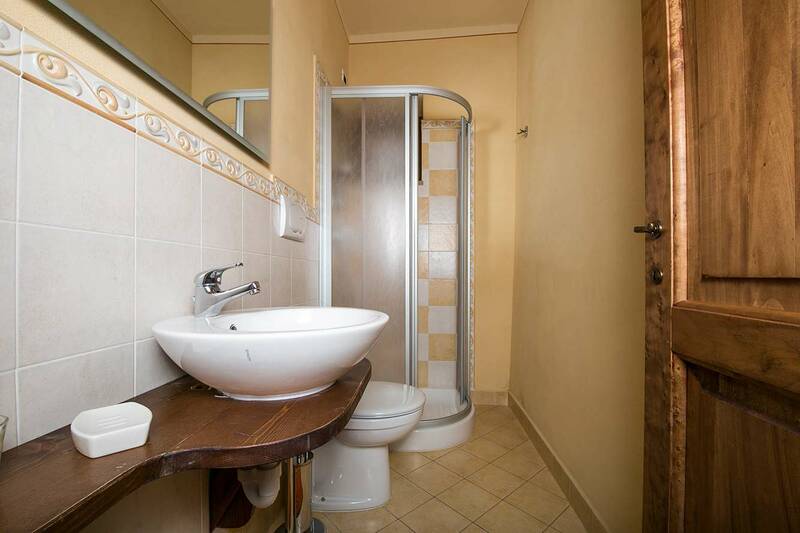 Each bedroom has its own bathroom with shower, sink and WC. We loved the warm welcome, with freshly baked cake and sweet wine from the friendly owner Roberta. The whole house is beautifully decorated, the pool area is amazing, the water sparkling clean, lots of pool toys for kids, loads of shady spots when the sun is too warm. peaceful sunny deck. The surrounding garden and woods are begging to be explored. The peace and quiet a balm to the soul. 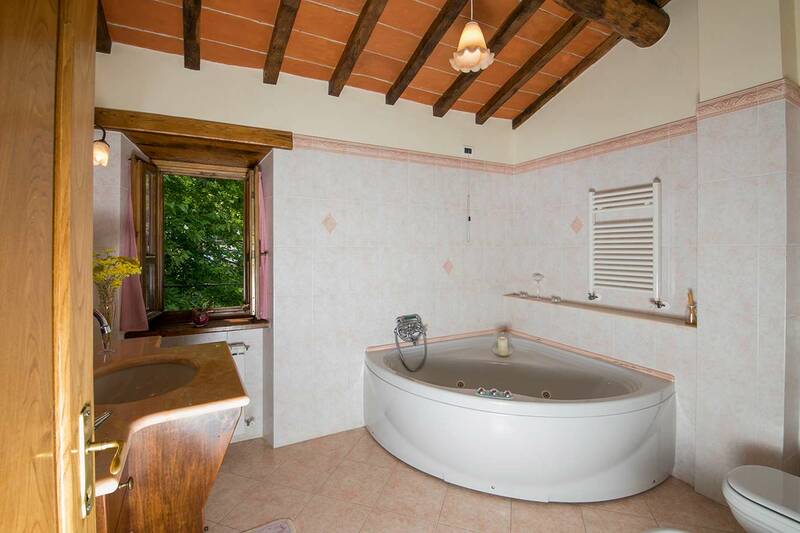 The jacuzzi tub in the bathroom,with endless supply of hot water the icing on the cake. Bibienna is a nice town to explore, really close by. 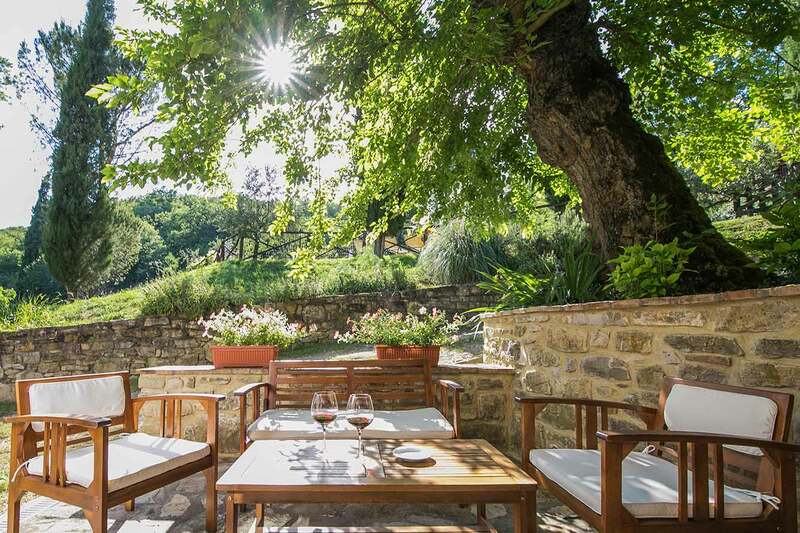 All the shops close from 1 to 4 so go early for shopping and lunch at Pizzeria Sparctacus on their huge sunny terrace overlooking the valley below.Skip the Poppi zoo. It is pathetic, but go to the town and climb the tower for another amazing view. Arezzo and the Piero de la Francesca frescoes are a must. 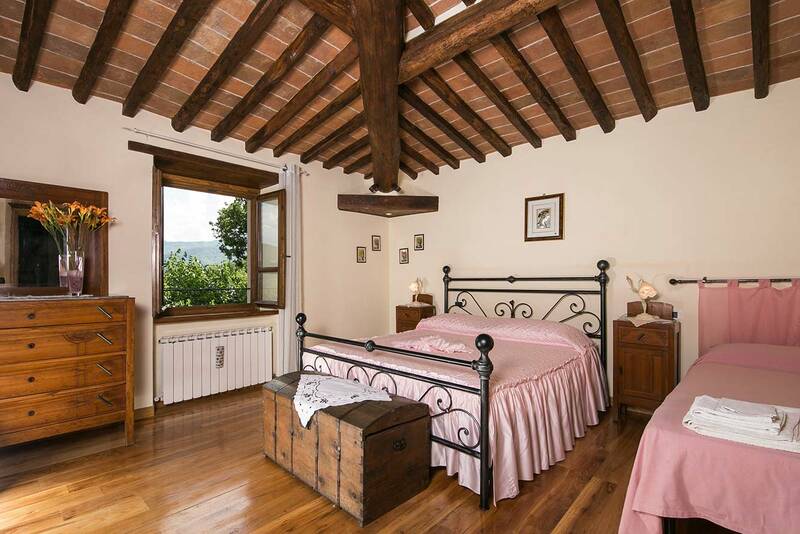 What did you like on our website www.tuscany-villas.com ? It was very easy to navigate, with lots of selection and good information about the various rentals and driving diretions. The villa was fabulous! We just couldn't believe it was all for us! 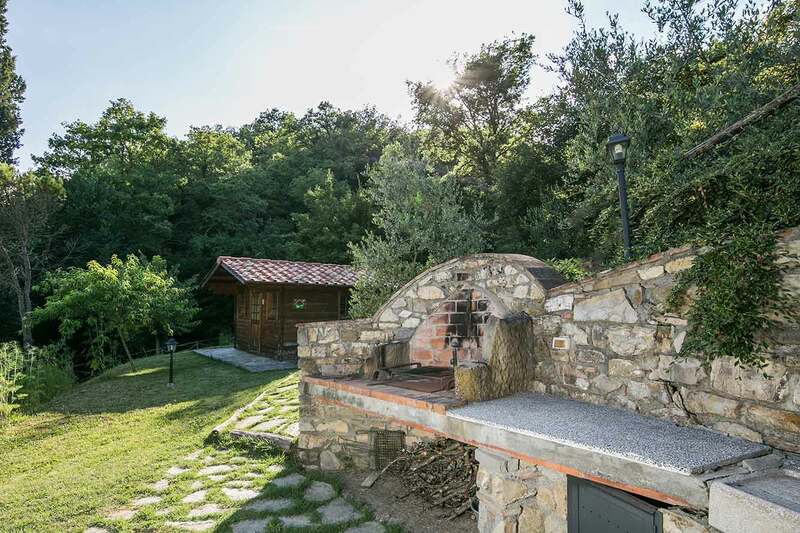 You really must try the pizza oven, and the BBQ area was great. Roberta and Stephano were wonderful hosts, meticulous about watering plants and making sure the pool was clean. They brought us truffles and we even went out with Stephano and his truffle hounds on our last day. Nothing was too much trouble for them. 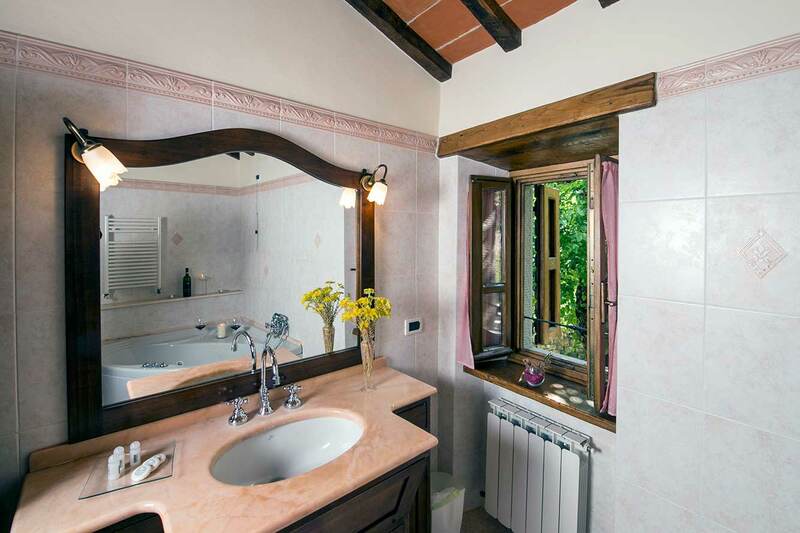 We also found there was wifi at the villa; great for keeping in contact with friends but also allowed us to use a great internet site that translates English into Italian, and vise versa. Essential for us, and enabled us to communicate with our hosts who had limited English. 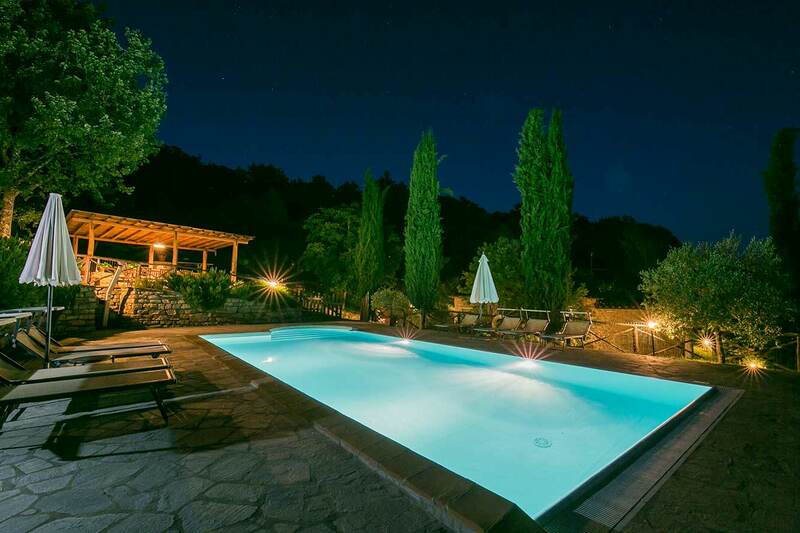 We really cannot recommend this villa enough. 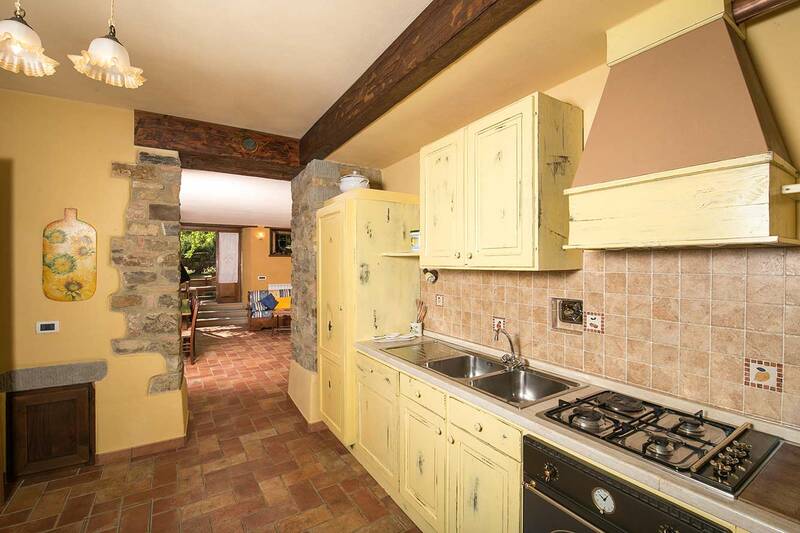 If you're looking for a quiet retreat with lots of space, this is for you!The local supermarket was excellent with a wide range of local, fresh produce. 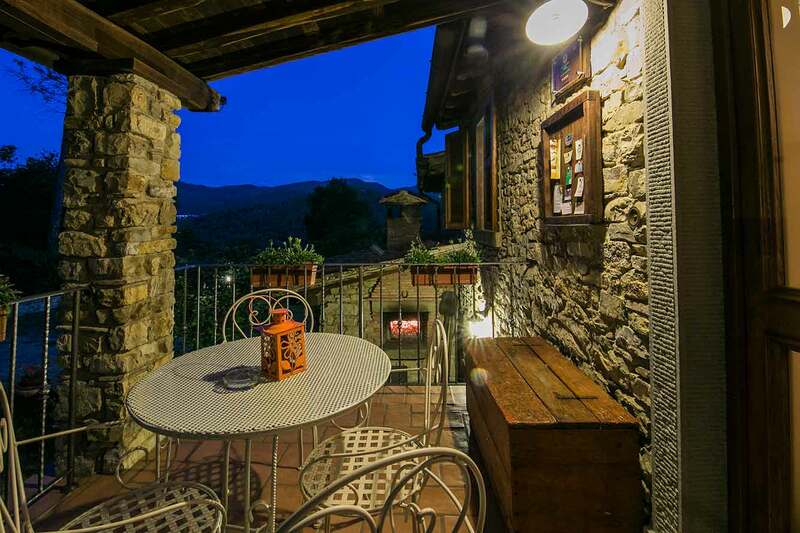 A wonderful restaurant can be found locally in Raggiolo - il Convivio dei Corsi. Beautiful villa and setting. We loved our stay in this wonderful, quiet bit of heaven on earth. The property managers/owners were extremely friendly though limited english was spoken. They brought fresh truffles! Yummm! !.